To say that I am ignorant of the local comic scene is a gross understatement. My exposure to local comics when I was a kid was limited to the newspaper’s entertainment section, with Pugad Baboy, Love Knots, and later on, Kikomachine, as well as Culture Crash Comics, a bi-monthly comic magazine that featured five original titles from local artists. When Culture Crash ceased publication in 2004, I stopped reading local comics as well. At the back of my mind, I thought it was going to be like a book convention, where publishing houses both big and small would display titles both popular and obscure. I was pleasantly surprised to find that it was a lot more intimate than that, despite the size of the venue. I should have known that it would follow comic conventions I’d read about online, where the artists themselves man their own booths. And, man, were there a lot of booths. 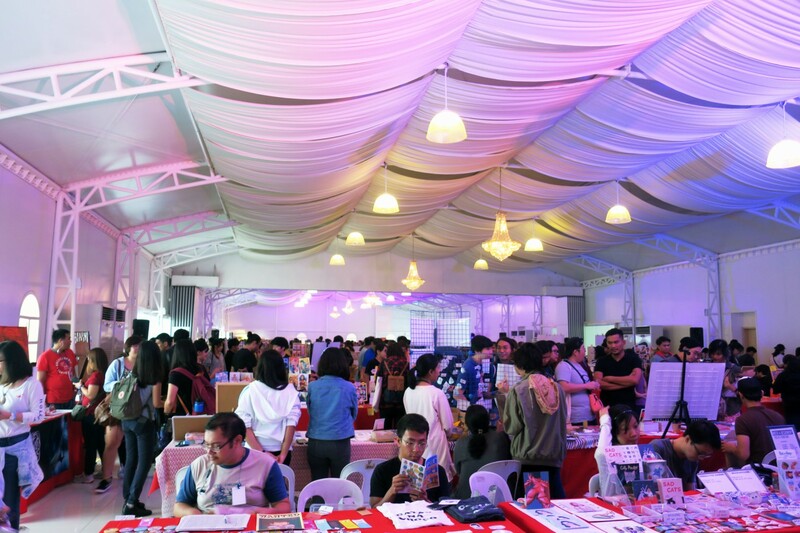 This year’s Komiket apparently had over 450 creators, illustrators and writers present. I mean, that’s kind of amazing. Komiket is a great avenue for up-and-coming artists to sell and display their work, and for comic enthusiasts to meet the artists they admire in person. Whenever we approached a booth, the creators immediately engaged with us, regaling us with the background of their komiks, sharing a bit of who they are and what they like. Comics weren’t the only things sold, of course. There were stickers, bookmarks, keychains, postcards, prints, fanzines, tote bags, even shirts. There were also a lot of fan art of both cartoon and anime shows, and celebrities (I see you, k-pop fans, I always see you). There were also panel discussions throughout the day, but because we arrived late I didn’t have a chance to listen to any of them. We prioritized visiting each booth instead of going to the panel discussion area (sorry, organizers!). As a first time attendee, I wasn’t sure what to buy so we had to go through all the booths twice. But in the end, I left with a handful of komiks for less than P1,500. I went a little over budget, sure, but considering the haul I got, I think it was worth it. All in all, it was a pleasant experience. 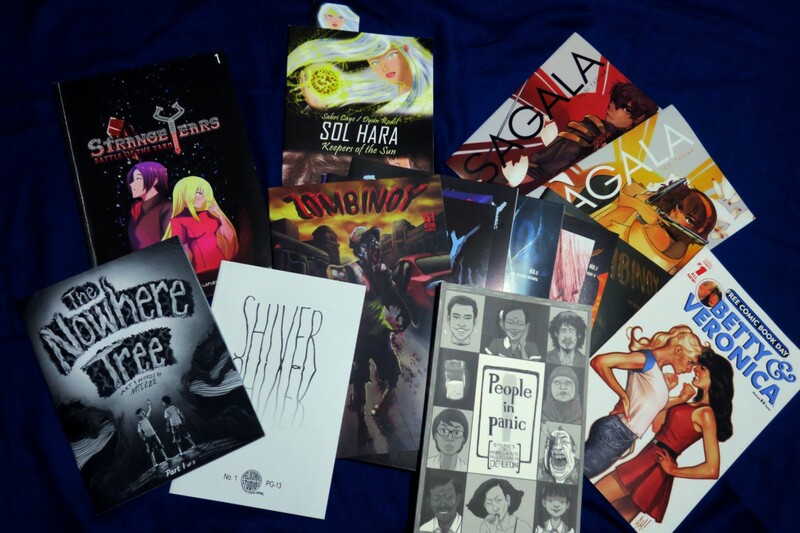 Komiks may not elicit in me the kind of excitement that books do, but I enjoyed it all the same. I loved listening to creators talk about their work; there’s nothing like seeing someone glow as they share with you the thing they love.